This crossing is on CR 63 about 1.5 miles south of SH 88 about half way between Ink and Cherry Hill. CR 63 continues southwest to Board Camp on SH 8. 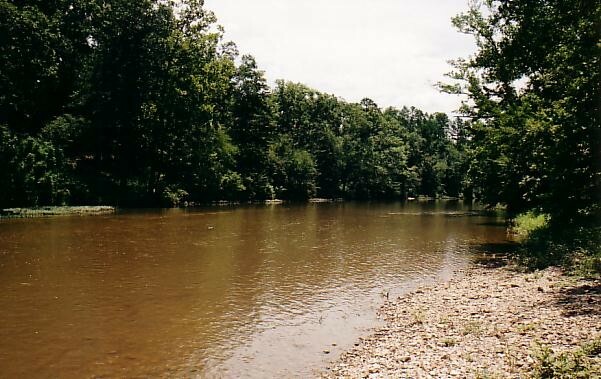 It is about five miles from the low water crossing "as the crow flies" but perhaps eight or ten along the river itself. The elevation at this point is about 900 feet. 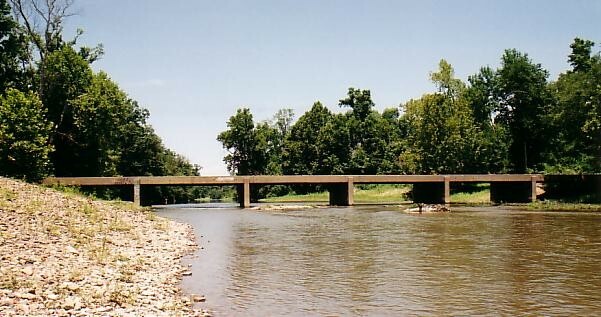 There is a pool upstream of the bridge and a shoal just below the bridge. The bank on the south side is mostly gravel and has been cleared for parking and access to the river. The river may be too shallow at this point for canoeing. This is the view downstream. The bank may have been deliberately cleared for access. 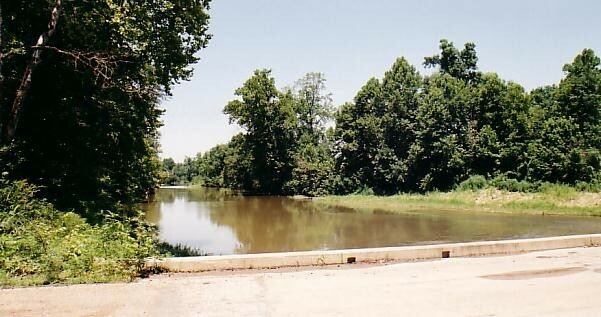 It also seems that the river may occasionally flood to the level of the bridge.